Limone, who produces and sells organic citrus fruits in Ohmishima, is a shop stopped by whenever cycling to Ohmishima. I listened to the reputation that the couple who moved from Tokyo to Ohmishima and started producing lemon and citruses are developing lemon and citrus shops using television from magazines before, and want to visit once if there is opportunity It was thought. When I entered a small shop, a young woman cheerfully asked me to come from the back of the shop. It is a woman introduced to something magazine as "a bright woman like the sun of Ohmishima", like a shop owner. 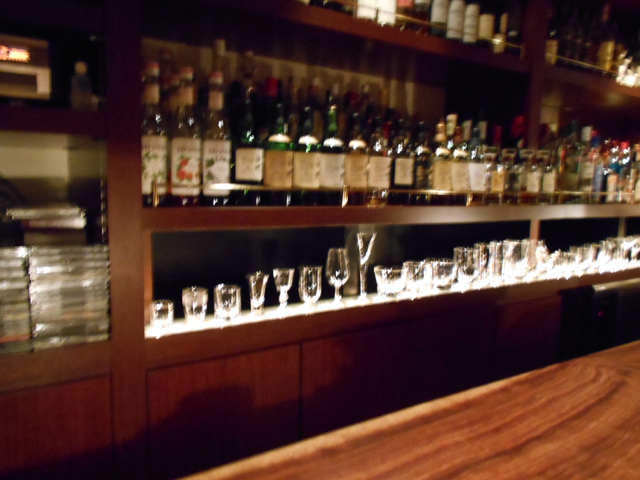 Liqueur and dressing using citrus fruits are arranged in a narrow shop narrowly and cleanly arranged. 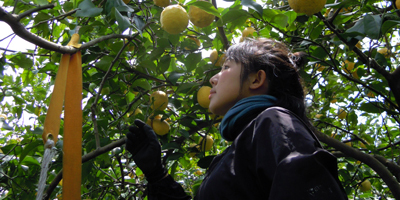 Looking at the profile of the site of this woman, Limone, it seems to be "Yamazaki Tomoko". Basically, I'm not good at talking with people so much, and this "Tomoko-san" talked about various citrus fruits and goods of organic pesticides. A woman like a truly bright sun, I got Ohmishima's favorite spot for this shop. 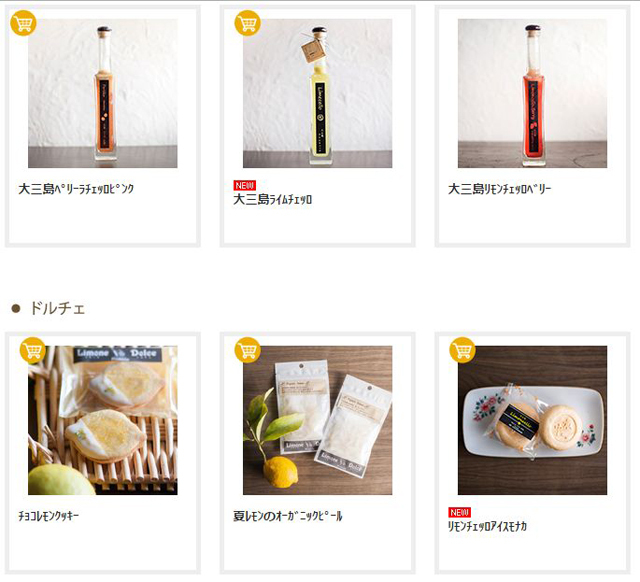 On the Limone 's display stand, there are various kinds such as no - pesticide liqueur, dressing, dolce etc. As a drinker I still can not ignore this if I heard that "lemon liqueur made from lemon made without pesticide". "There are also other liqueurs that use navel or liqueurs that use lime." "Lemon liqueur is a post-meal dessert liquor in authentic Italy. If you drink it, put it in a freezer and cool it before you drink it straight It is recommended, "Tomoko told me. I usually hear that lemon is difficult to make with pesticide. I also hear information that American lemon is covered with pesticide. Do not you have to drink this lemon liqueur that you are cultivating such lemons without pesticide and then extracted. So, I bought one and put it in my bag and brought it home. The first impression of lemon liqueur is "Wow, sweet!" On that day, I bought a lemon liqueur purchased from Ohmishima's Limone, after dinner I decided to drink while listening to my favorite music. 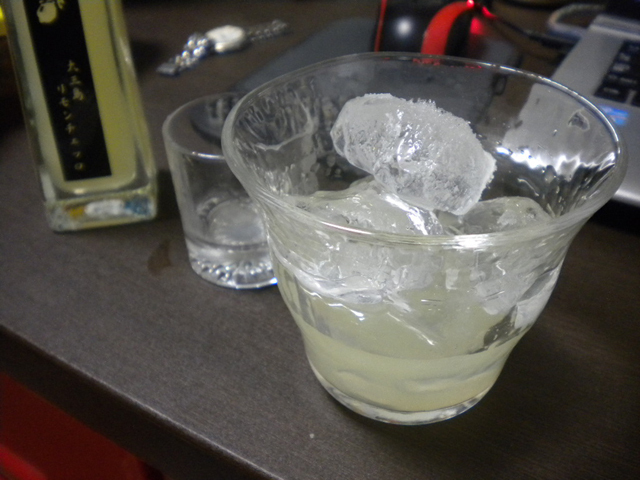 As it was advanced to owner Tomoko Limone, I brought it to the freezer immediately after taking it back (Liqueur was receiving explanation from Tomoko-san if it did not freeze even in the freezer) It cooled down to gingin, it was straight and drunk one. "Sweet! Too much!" This is the first impression. For me who usually drink whiskey with rock, this lemon liqueur was too sweet. Then I tried drinking with rock this time. Although the sweetness was suppressed to some extent and the lemon acidity was felt, still quite sweet. When I visited Limone again later, when I told Tomoko about the story "Lemon liqueur, I drank straight like it was recommended, but I was a bit too sweet to Alafife Oya", "Yes I think that it is sweet, but the dessert drink being drunk in Italy is more sweet. " And, "I have something that suppressed a bit more sweetness" and poured the lemon liqueur from the back refrigerator into the glass and drank it. 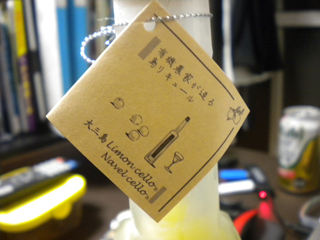 This lemon liqueur was slightly less sweet than what I bought the other day. Still quite sweet. "Because it is a liqueur, it is sweet after all," Tomoko said while smiling. Because it is a precious pesticide-free lemon liqueur, I wanted to enjoy "ARAFIF Oyaji"(around fifty years old men) as a liquor somehow. A lemon liqueur drunk about half way with straight and rock was left in the freezer as it was about half as it was. 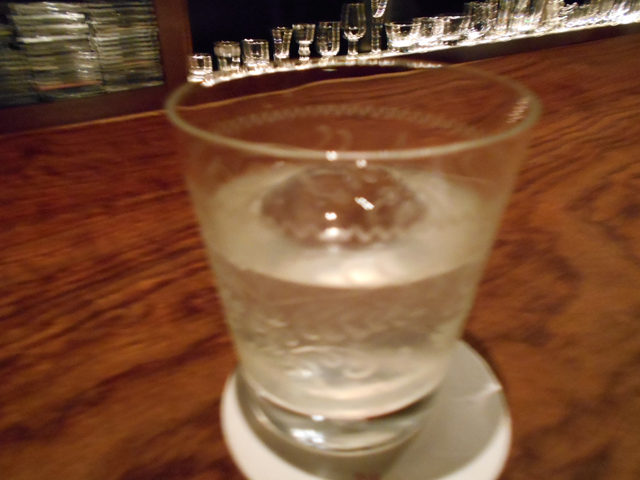 Tomoko of Limone says, "It would be better to stop cracking with gin or walker, because both are strong drinks, so it will be a very strong sake," so I was not recommended. 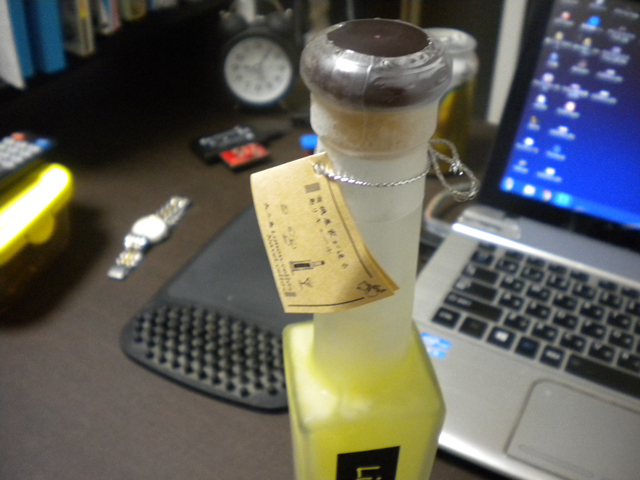 However, because I am a pesticide-free lemon liqueur, I thought there was a way to enjoy it deliciously as "liquor". So I went to a familiar bar and talked to the master, "Can not a cocktail using lemon liqueur?" Consulted. I think that I will introduce a cocktail taught at that time as I got caught in a crucible. After talking to the master, it was a cocktail made with this lemon liqueur that told me "I think that this is surely like this". This cocktail is a cocktail that you can enjoy refreshing lemon while enjoying the smell of Gin's unique pine tree. You can make it with a steaker (stirring with a spoon) that does not need a shaker. It is easy to make. Put 30 ml of jin, 15 ml of lemon liqueur and 15 ml of squeezed juice of lemon into the rock glass, just put the ice in it and steer it about 6 to 7 times. If you steer too much, your ice will melt too much and get cautioned. In this cocktail the base is Jin, so you can feel "sake" firmly. If it is a woman it is a cocktail of a gin base if you put long carbon soda and sodium carbonate. However, it is important to be careful about drinking too much because it is easy to drink anyway. It was only 2 cups made at Master 's store, but it was easy to drink, so I drank it in about 10 minutes and then I was able to feel a drunken feeling afterwards. With this, you can enjoy pear - free lemon liqueur at the most relaxing time. 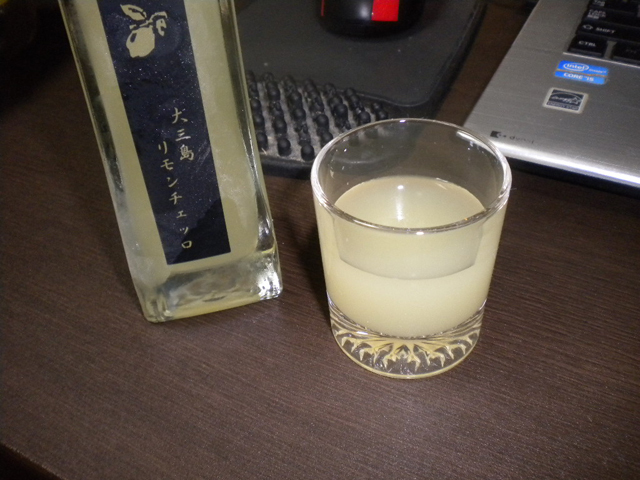 To the elder brother who thinks "Lemon liqueur is sweet", it is a cocktail that you want to try by all means.